A gadget that isn’t even actually at CES is causing some of the biggest waves at the tech fair this year. Yes, it’s the iPad 2. It won’t be coming out for at least a month, and Apple as usual aren’t displaying at CES, but a mock-up of the new version of Apple’s tablet used to demo an iPad case has got everyone all excited. 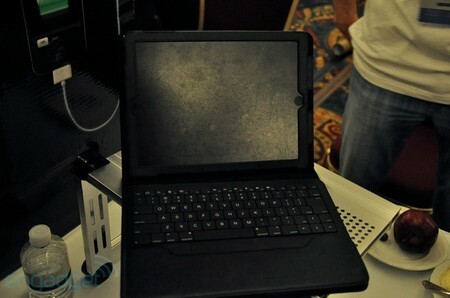 A case by Dexim contained an aluminium mock-up of the iPad 2, and the shape of the case hints at some significant changes to the shape of the new iPad. 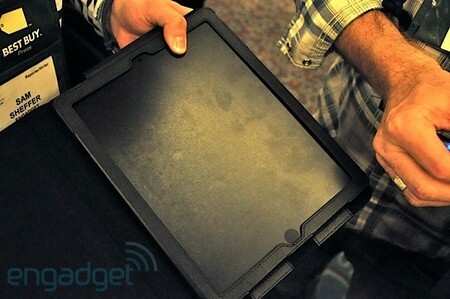 It has a whole load of different stuff going on according to Engadget.. This is what the future looks like.. Okay, we don’t know how much the case manufacturers know about Apple’s plan for Pad 2, but the case manufacturers must be working off something to design their cases around and it could well be that this machined aluminium mock-up is genuinely the shape of the new iPad..